What is a virtual debit card API? A virtual debit card API is a great tool for businesses. 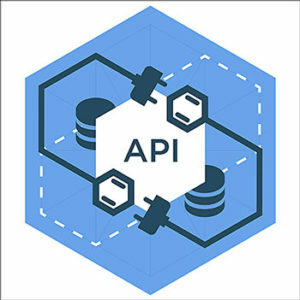 API stands for application programming interface, and it allows you to easily send data back and forth in modern day applications. An API for virtual debit cards can help you by allowing you to instantly generate as many virtual debit cards as you need, and the cards will be active and available to use within minutes. Virtual debit cards are not plastic. They are representations of your existing deposit account that can’t be used by others to access your information or your money. A virtual debit card API allows you to randomly generate numbers. There is almost no chance that the numbers that you generate will match those generated by others or that thieves will be able to guess your numbers. The Los Angeles Times reports that there are a possible 10 quadrillion different combinations of 16-digit numbers that can be generated. How does a virtual debit card API work? A virtual debit card API can be easily integrated into your custom business applications or even applications that you may offer as a service. The virtual debit card API can easily integrate with all types of applications ranging from mobile to desktop. By integrating the API into your applications, you can have custom workflows and features that other services might not offer. This allows you to make the API’s features work exactly how you need them to. You can tell the virtual debit card API how many random debit numbers to create, and they will be generated almost instantaneously. The numbers will represent your existing deposit account, but they will not provide direct access to the funds contained in it. The cards that you generate can be ready to use within minutes so that you can make the purchases that you need in a secure manner. A virtual card is not a real plastic card. Instead, it is a series of 16 digits and a CVV code that is randomly generated with your virtual card API. The numbers that you generate can be used to make purchases online without exposing your account information to would-be thieves. A virtual card API can allow you to create several types of cards. You can create p-cards, ghost cards, virtual cards, virtual debit cards, or virtual credit cards. Each of these different types of cards may serve different purposes within your organization. What are the benefits of using a virtual debit card API? With a virtual debit card API, you can create virtual debit card numbers instantly from whatever application or device you prefer. The numbers will work within minutes and can be immediately be used to make pre-approved purchases. You can create and issue a number to use to pay an invoice in the exact amount that you have been billed. In addition to creating virtual debit cards, a virtual debit card API can offer several other benefits. You are able to track expenses, categorize them, and obtain a master list of the expenditures of your company at any point in time by connecting to a virtual card API. How is a virtual debit card API different from a virtual credit card API? Both a virtual debit and a virtual credit API can be used to generate random credit card numbers and CVV codes that can be used to make secure remote purchases, but the numbers represent different types of accounts. Virtual debit cards are associated with your deposit account. When purchases are made, the prices are subtracted from your account balance. A virtual credit card API can be used to generate random numbers that are associated with your underlying credit card. When purchases are made, the cost is added to your revolving line of credit and may incur interest and add to your debt if you cannot repay them within a month. When you have a virtual debit card API integrated with your existing custom business applications, you can create virtual debit cards very quickly. The API is a powerful tool and allows you to generate debit cards instantly. The numbers will be activated within minutes. The speed of your ability to generate numbers that can be used immediately is only one of the many benefits that you can enjoy from your virtual debit card API. You can also perform many other tasks with little manual entry required. A card API, whether it is a debit API or a virtual credit card API, can help you to automate many accounts payable tasks and minimize errors. The API can easily be integrated with your accounting software so that transactions are entered automatically. It can also automate invoice processing, saving your company the time and expenses associated with processing invoices manually. Your virtual credit card API or debit card API can minimize the need for manual data entry of transaction data. This can eliminate human errors that could lead to inaccurate financial reports. It can also help to prevent fraud as it will be more difficult for bookkeeping or accounting staff to alter the records within your software. With the integration capabilities of a virtual credit card API or a virtual debit card API, you can create virtual cards from within your applications. If you use a particular application to place orders, you can generate a random debit card number to use for your purchases within it. APIs can also be intertwined with your own products and offered as solutions to your customers. For example, if a customer wants to place an order for one of your products, you can give him or her the ability to do so with a number that he or she generates and uses. If you do not have access to an API, getting a complete list of all of the business transactions at your company may require days worth of work by your accounting staff. With a card API, you can obtain a complete list of all of the business transactions that have happened at your company. Having a card API with which you can generate cards can allow you to eliminate other types of payment systems, including reimbursements, checks, and petty cash. With all of the transaction information from your various cards being imported automatically, obtaining a current list in real time will require little work. Tags can be highly beneficial for businesses to use for transactions. With a good tag, you can easily find important transactions later. For example, you can use a tag such as “tax-related” to denote all of the transactions that have to do with taxes. An API can be used to generate helpful tags for your various types of transactions so that they can be easily categorized in the correct expense types. This can make it much easier to understand if your company is audited or when it is time to prepare your taxes. A powerful card API can also allow you to add notes to different transactions and update them later. This function allows you to add notes before payments are processed. If you forget to add a note or want to update it with new information, the API will allow you to do so after the transaction has been processed. Adding transaction notes can be important. For example, you might add a note with the serial number of a new capital purchase that you have made. You could also include warranty information. If you need this information later, it will be simple for you to find and to retrieve. Where can you find a virtual debit card API? To find a card API that you can use to create your own random credit card numbers, you can research online and check with your bank. Some banks offer virtual API solutions for their customers. 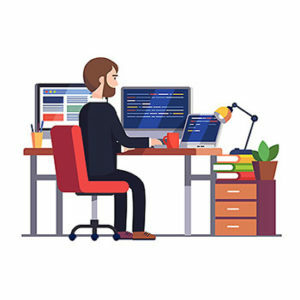 If your business wants a robust API solution that comes with extensive controls, you might need to read articles and compare the companies that offer them. There are a number of features that you should look for when you are comparing the different debit card APIs that are available. What are the best features to look for in a virtual debit card API? 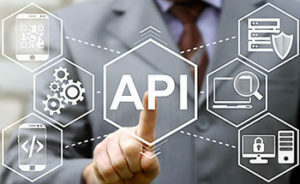 When you are evaluating different API solutions, there are several features that you should look for. The best API should allow multiple business uses, including the ability to generate different types of cards for different needs and the ability to offer incentives and bonuses to suppliers. You should also look at the ability to automate the payment of invoices and how easily the API can be integrated with your applications. The security is important. You should opt for cards that offer highly secure digital encryption technology with 256-bit SSL encryption that is authenticated by Digicert. Finally, the best card API should offer you the ability to set spending limits and tightly control how your cards can be used by your employees. The Bento for Business debit card API offers the kind of extensive controls and better expense management tools that your business needs. You can track expenses by each employee or supplier or by the department. You can choose the total amount to place on each card and limit how much can be spent per day or per week. The cards can also be limited to where they can be used and when. 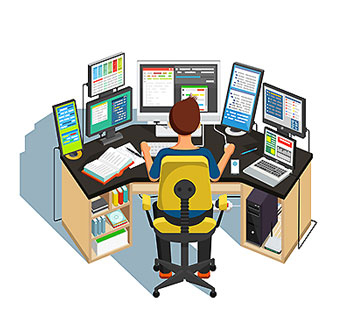 For example, if you have a vendor from whom you make a large number of purchases each month of office supplies, you can assign the vendor a unique card number to which the purchases can be charged. If the vendor tries to charge something other than your supplies such as a meal at a restaurant, the attempt will be declined. You can also turn the number off in between purchases and turn it back on when it is time for items to be charged again. Bento for Business has an established presence as a provider of leading business Visa debit cards and API solutions. The company has been profiled in national publications and has earned excellent reviews from its thousands of customers. The Bento for Business Visa debit cards offer 256-bit SSL encryption, and deposits are insured by the FDIC for up to $250,000 through the Bancorp Bank; Member FDIC. With Bento, your credit will not be checked. The cards are not credit cards and will not charge interest on your purchases. You can get two cards for free each year and up to 10 for $29 per month. To learn more, call 866.220.8455.